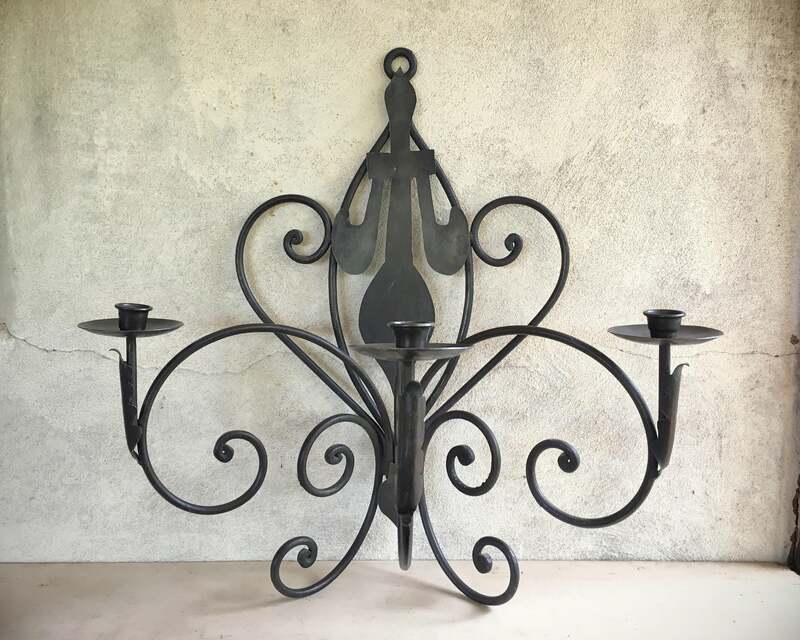 This large and heavy wrought iron candle holder is simply beautiful. 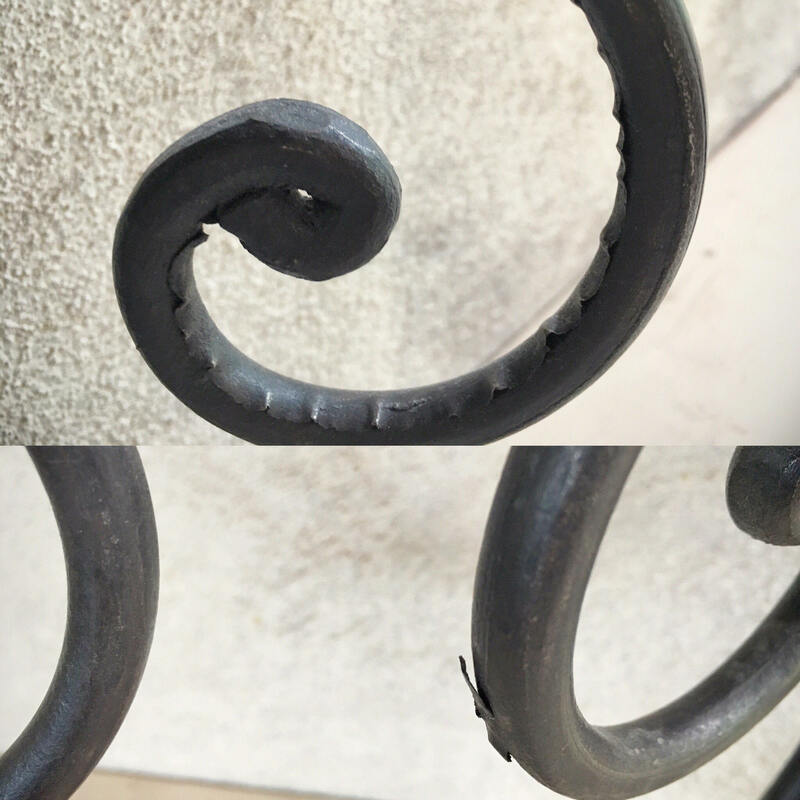 The iron is formed into perfectly imperfect flowing and smooth scrolls, the ends curling into circles, and flat pieces of metal adding decorative effects on the back and on the front of each of the three candle holders. The piece is heavy, and it has some iron remnants that I will be filing off, but to the extent I don't get them all of, I've photographed some of these in Photo 3. 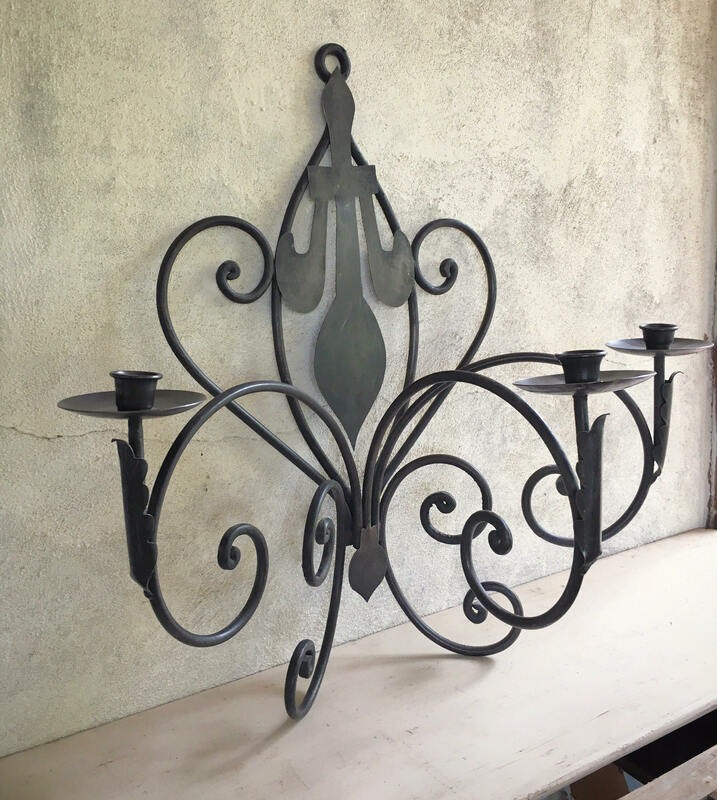 I can see this piece hanging on a wall of a hacienda courtyard or indoors in an entryway or wall in a bedroom or great room. It has wonderful presence! 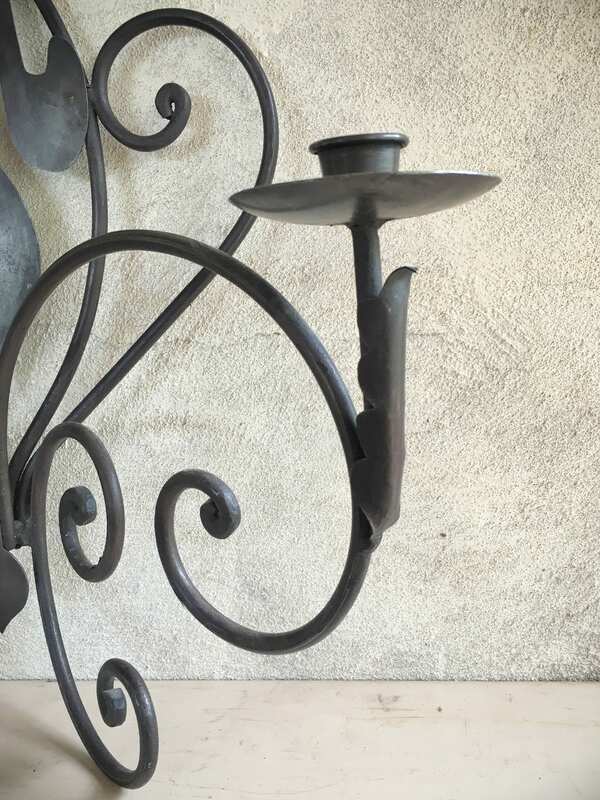 Measures just 24-3/4" tall by 24" wide and extends out from the wall to just over 14". 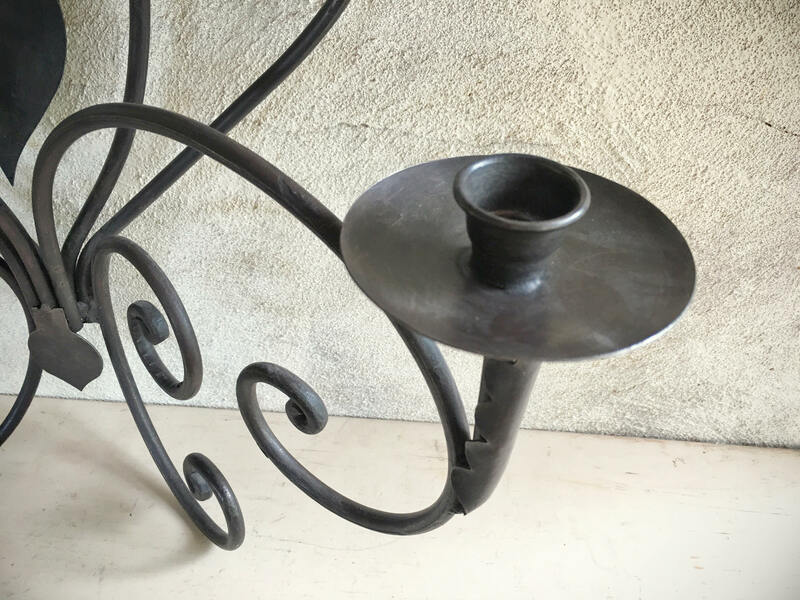 Candle holder openings measure 1-1/4" yet are flared; these will fit most standard sized candle sticks. I'm happy to send more pictures, as the few I've selected don't quite tell the whole story about what a gorgeous piece of work this rustic wall hanging represents. Note that calculated shipping only supports US locations for this size. International buyers, please convo me so that I can provide shipping cost for your location. Also note that if there is a more economical way to ship--e.g., FedEx or UPS--I will work to find that more economical method and refund shipping overages if any.